Injury is a leading cause of death and disability among children in Australia, and globally. We currently have a number of research programs examining different aspects of child injury to try and develop the evidence needed to turn this around. 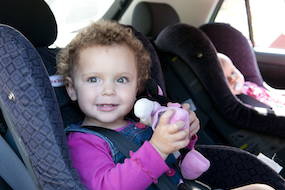 In Australia about 50 percent of injuries are due to road accidents occurs among children in cars. Over the last decade we have been studying how these injuries occur, and what we can do to reduce serious injuries and death. Using a restraint whenever you travel in a car is the best way to reduce the chance of injury in a crash, but the best protection is provided when the restraint is used correctly and fits well. Car seats and belts are designed for adults and for this reason specific types of restraint systems are available for children as the grow from infancy. Our research demonstrated that most serious injury among restrained children in cars occurs when children use restraints designed for older passengers and/or use the restraint incorrectly. Many injuries to children in car crashes are preventable by correctly using appropriate restraints. By law children must now sit in an appropriate child restraint until they are at least seven. While our research found that prior to the introduction of these new laws in 2010, just over half of Australian children were not sitting in the right seat for their size, we saw a significant increase in the numbers of children using the right sorts of restraints after the law. However, the law and related community education and awareness programs have had much less effect on the number of children correctly using their restraints. Just over half of of all children continue to travel in cars with at least one error in how the restraint is installed in the vehicle and/or the child is secured in the restraint. Incorrect use of restraints triples the risk of injury in a crash. 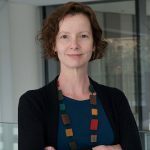 What else is happening in Child injury research at NeuRA?